For some 500 years common law courts have steadfastly held, for the most part, that the documentary title owner of the surface of land can exercise ownership rights from the centre of the earth to the heavens above. 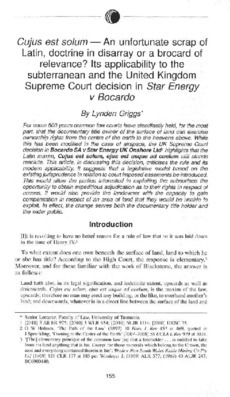 While this has been modified in the case of airspace, the UK Supreme Court decision in Bocardo SA v Star Energy UK Onshore Ltd highlights that the Latin maxim, Cujus est solum, ejus est usque ad coelum still stands resolute. This article, in discussing this decision, criticises the rule and its modern applicability. It suggests that a legislative model based on the existing jurisprudence in relation to court imposed easements be introduced. 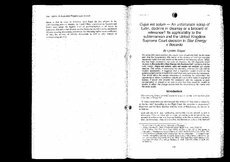 This would allow the parties interested in exploiting the subsurface the opportunity to obtain expeditious adjudication as to their rights in respect of access. It would also provide the landowner with the capacity to gain compensation in respect of an area of land that they would be unable to exploit. In effect, the change serves both the documentary title holder and the wider public.